Hermann Rorschach was a Swiss psychiatrist and psychoanalyst who developed what we now know as the Rorschach inkblot test. The Rorschach inkblot test is a personality projection test where individuals are shown ten inkblots, one at a time, while taking note of what they think and see in each of the images. Hermann Rorschach was born on November 8, 1884 in Zurich, Switzerland. He was the eldest of three children. He was only 12 years old when his mother died in 1897. Seven years after that, his father, also died. His father was a local art teacher and encouraged his son to use his creativity to express himself effectively. In fact, H.F. Ellenberger, a medical historian and psychiatrist, described Rorschach’s childhood as very artistic and intellectual. Hermann spent his youth in Schaffhausen in northern Switzerland and immediately showed a fascination for inkblots when he was in high school. A Swiss childhood game called Klecksography that involved making pictures out of random inkblots was Hermann’s favorite game earning him the moniker “Klecks”. Before graduating from high school, Hermann was torn between aiming for a career in science and a career in art. He wrote to Ernst Haeckel, the famous German biologist, to ask for his advice. Of course, Haeckel responded that Hermann would be better off in pursuing a career in science. Rorschach attended Academie de Neuchatel in 1904 studying geology and botany. After just a single term, he transferred to the Universite de Dijon to take French classes. That same year he was accepted to the University of Berne to attend medical school. Rorschach specialized in psychology and travelled throughout Zurich, Berlin and Nuremberg to complete his studies. He finally graduated in 1909 from the University of Zurich. He married his Russian classmate from medical school, Olga Stempelin, in 1910. He was working in a mental institution in Switzerland at that time. In 1913, he decided to leave his job and left for Russia with his wife. After just a year in Russia, he decided to return to Switzerland where he worked at the Walden Psychiatric University as one of the residents. His wife was temporarily detained in Russia but was eventually able to travel back to Switzerland. They had a daughter named Elizabeth who was born in 1917 and a son named Wadin who was born in 1919. In 1915, he became the associate director for the Herisau Asylum in Switzerland and he remained working there for the rest of his life. While he was still studying, Rorschach started wondering why different people reacted differently to certain stimuli. During this era, there was a lot of excitement on the continuous development of psychoanalysis. He was instantly reminded about the inkblots that he had played with as a child and was curious to find out why different people interpreted the same inkblots differently. The psychiatrist Szyman Hens had already been using inkblots to study the fantasies of his patients. Rorschach took a great interest in this concept and he also took into consideration the methods of his acquaintance, Carl Jung. Jung was tapping into random people’s unconscious minds by using a series of word association tests. There were other speculations of other influences that Rorschach may have had on his inkblot concept: A popular book of poems published in 1857 by a German doctor, Justinus Kerner who was said to have derived his inspiration from an inkblot and Alfred Binet, a French psychologist, had also previously used inkblots for a creativity test. Because Rorschach was interested in both art and psychoanalysis, he suddenly realized that the two could be combined. He started showing random inkblots to people to see what their responses would be. He then created the Rorschach Inkblot test to study and analyze how patients would react and what associations they would form from random stimuli. To test the system, he tried it on 300 patients with 100 of them as control subjects. The test involved showing each patient a series of 10 inkblot cards, half of them in black and white and the other half with colors. Each patient is then asked what they associate each inkblot with as Rorschach took notes of each patient’s answer. Once done with all the inkblots, these were shown to each patient again as they are asked to explain the answers that they gave previously. The answers were evaluated based on location, content, quality and conventionality. From the data he gathered, he was able to draw conclusions about the social behavior of each patient. Rorschach became a prominent psychiatrist and he was elected vice president of the Swiss Psychoanalytic Society in 1919. In 1921, he published his book “Psychodiagnostik” (Psychodiagnostics) detailing the results of his studies on mental patients. This was one of the bases for his continuously developing inkblot test. 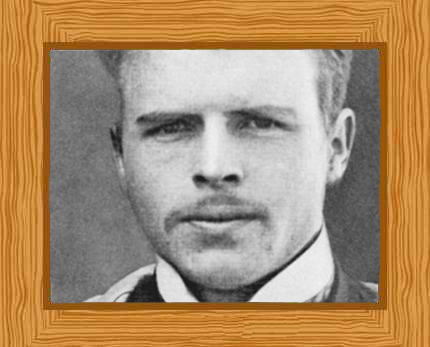 Hermann Rorschach died suddenly on April 2, 1922 of peritonitis in Herisau, Switzerland at the young age of 37. It is believed that this was the result of a ruptured appendix. He left behind his wife and two children and was still holding the position of associate director at the Herisau Asylum at the time of his death. Despite his early death, the impact that his inkblot test had created remained. The German psychologist Bruno Klopfer saw the importance of the studies that Rorschach started and picked up where he left off. He started to make improvements on the test’s scoring system. He also became an advocate of the importance of projective personality tests, eventually causing them to be a popular psychological and psychiatric tool. By the 1960s, Rorschach’s inkblot test became the most widely used projective personality test in the United States; it was ranked eighth in a long list of tests used all over the US for outpatient mental health care. Rorschach’s inkblot test still faces a lot of controversy and criticism to this day. Despite this fact, it is still one of the primary tests used in hospitals, schools, jails and courtrooms and is used to decide on parental custody rights, assess the emotional issues of children, and determine if a prisoner is eligible for parole or not.